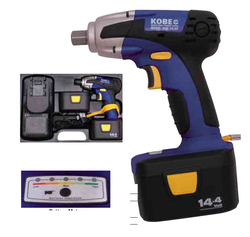 Wholesaler of a wide range of products which include impact wrench, _pistol grip air impact wrench, cordless impact wrench, heavy duty inline air impact wrench, impact wrench kit and 1 drive h/d in-line impact wrench. 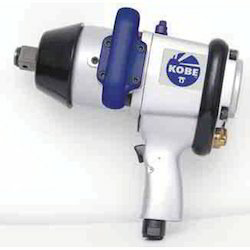 One piece aluminium housing, 10 position power regulator, thumb switch for reversing, 1/4” NPT air inlet thread for 10mm air hose, 90psi air pressure, 300ft/lbs torque, 4cfm* air consumption, 16mm bolt capacity. 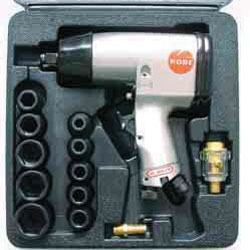 _Pistol Grip Air Impact WrenchIWP100-XSuitable for industrial and commercial production and assembly applications. Front or rear mounting spring balance loop. Forward/reverse switch and three position power regulator. Forward facing exhaust. 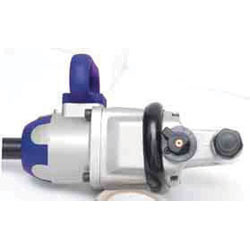 Oiling points for daily maintenance.Free speed: 3,400rpm.Final drive: 1” (25mm) hex.Working torque: 2,170Nm (1600lb/ft).Maximum torque: 2,440Nm (1800lb/ft).Air inlet thread: 1/2” NPT.Minimum air hose size (ID): 1/2” (13mm).Air pressure: 6.3bar/90psi.Air consumption: 5.95cfm.Sound pressure level: 87dBA.Vibration level: 5.9m/s2.Overall length: 295mm. 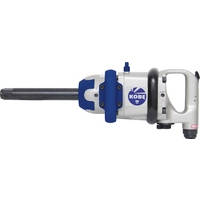 One-piece metal housing for durability and extended tool life. Tease trigger control with push button forward or reverse. Ideal for exhaust and transmission applications. Kit supplied complete in robust blow-moulded case. 10 metric sockets: 9, 10, 11, 12, 13, 14, 17, 22, 24 and 27mm. 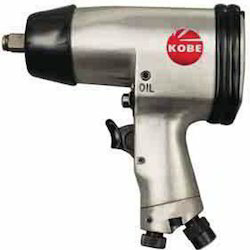 Looking for Impact Wrenches ?